Our basketball bedding makes a bedroom into the ideal place for the ball junky in your home to keep basketball on the brain, even as they sleep. Outfit the bedroom of your favorite baller obsessed family member with one of our themed bedspreads and guarantee that your decorating plans are a slam dunk. Choose your favorite basketball design and you'll be well on your way to instituting a very cool new decorating theme that will be admired by basketball fans far and wide. With our myriad basketball bedding options to choose from you'll imagine that its draft day. For the romantic, try basketball shaped hearts on a bedspread. For a look tailored to the triple-threat in your home, go with clean silhouettes of players frozen in complex basketball moves. 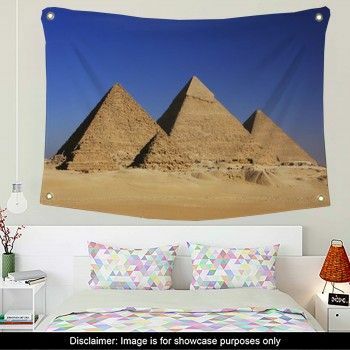 Or, create your own custom bedding designs to make your room as personal as your jersey. Brighten the luminance of the sky in a photograph of a hoop beneath clouds, or even leech background color from a bright court to showcase the baller in the foreground. Another popular choice is a simple shot of the player holding the basketball in a power pose. Use your own photos and get them displayed with a unique border and personalized with the basketball players name right on the bedding. No matter what your shot is, just ask us and we can help you add some life to the picture and get you the unique look you deserve for your custom bedding. Our basketball bedding comes in sizes Twin, Twin XL, Queen, and King so you can put players of any size on the court. And with our variety of bedding options, you can tailor your coaching to the strengths of each player. Try a comforter for your child with a bright silhouette mid-dunk, or what about a duvet cover with a hoop, court, and ball to get at the heart of the game? Our bed sheets and pillowcases come decked in orange, too, or even in outlines of basketballs in as many colors as you can think of. Basketball themes can add that much-need excitement to a home. 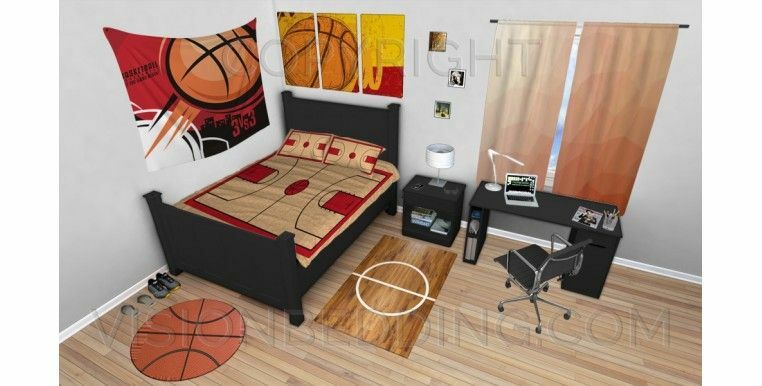 Go for an action-packed basketball bedding featuring a player running the court on your comforters and on the sheets. Opt for a more artistic look with a ball and flames on your custom size duvet covers. Take an entire room and deck it out in flaming basketballs if you so desire. From player themes to court themes to ball themes, you can have each basketball room in the house adding a unique touch to your style. Just because you're not on the A-team anymore doesn't mean you don't still play b-ball with your friends after work, so why not bring that hobby into the bedroom as well? With our basketball designs, you'll be hitting three-pointers with your buddies and before you go to bed. Celebrate the NBA finals from your bed underneath a comforter shining with your favorite team's logo or player. If you need an assist, we've got you here at VisionBedding.